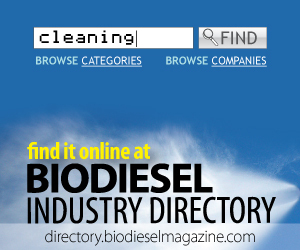 The U.S. EPA said Wednesday that 109 million gallons of biodiesel were produced in March. The numbers show a total of more than 127 million gallons of biomass-based diesel for March, but that total also includes production of renewable diesel. The EC published a regulation making Argentine and Indonesian biodiesel imports subject to registration in frame of an antisubsidy complaint. This decision supports arguments drawn by the EU biodiesel industry that DETs distort international trade. The annual AGQM report is now available and impressively demonstrates that production of high-class products is paramount for all members. 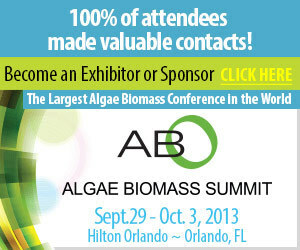 Once again, the survey indicates that biodiesel quality of AGQM's member companies is at top level in 2012. Illinois Profs. Yuanhui Zhang and Lance Schideman have combined their research efforts to develop an innovative system that uses swine manure to produce biocrude oil, grow algal biomass, capture carbon, purify wastewater and recycle nutrients. IRFA congratulated the Iowa Senate for voting unanimously to pass Senate Concurrent Resolution No. 5, which urges the U.S. government to continue its commitment to energy independence and maintain its support of the federal renewable fuel standard. Since the company's initial run at the 135,000-liter (35,663 gallons) scale in the third quarter of last year, LS9 has made several additional fatty alcohol runs of this size as well as smaller production runs of fatty acid methyl esters (biodiesel). USDA has proposed changes to make it easier for agricultural producers and rural small businesses to apply for renewable energy and energy efficiency funding. USDA remains focused on its mission, despite a time of significant budget uncertainty. INTL FCStone Inc. is planning to hold its first energy outlook conference May 9-10 at the InterContinental Kansas City at The Plaza in Kansas City, Mo., to address both oil and biofuel outlooks and discuss available risk management tools. Sandia National Laboratories is developing a suite of complementary technologies to help the emerging algae industry detect and quickly recover from algal pond crashes, an obstacle to large-scale algae cultivation for future biofuels.